BERND ZIPPER is the author of beyond-print and writes about fascinating topics, new trends and technologies as well as print and media industry innovations and much more besides in his blog. You will also find plenty of eBusiness print videos on the YOUTUBEKANAL and FACEBOOK – I look forward to your visit. 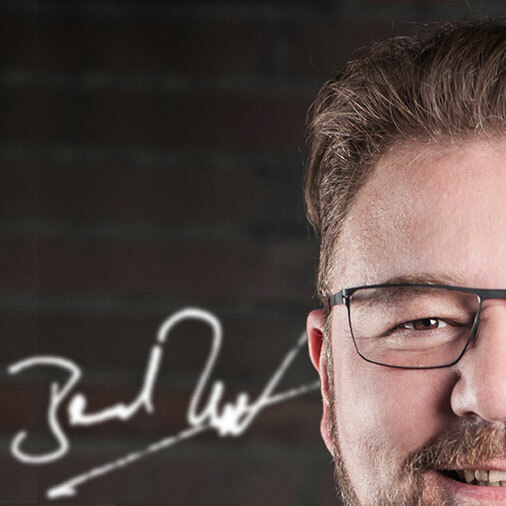 The author of beyond-print, Bernd Zipper is a consultant, lecturer, speaker as well as founder and CEO of zipcon consulting GmbH (established in 1999), which is based in Essen/Germany. His specialisms are mass customization, eBusiness print, web-to-print, online print stores and interdisciplinary media projects. The technology and strategy consultant and his team proactively mentor and support practical implementation of a very wide range of different client projects. Together with his team he generates ideas, concepts and strategies for those from a wide range of different industries involved in the print production process. Bernd Zipper is a highly regarded practically-minded and critical technology and strategy consultant, speaker and facilitator. His visionary presentations are regarded worldwide as trend-setting management recommendations for investors, market makers and managers. Bernd Zipper got started in the print and media industry in the 1980s working as a prepress DTP operator. In the years that followed he gained experience in various reprographics management positions, ending up as CEO of a print and online media fulfillment agency. He also dedicates his time to dealing with a range of the industry’s very different publishing topics and has been an active author and journalist in these areas since the 1990s. In 2000 he published his first books – “Praxisführer ∙ Practice-Guide PDF & Adobe Acrobat” as well as “Guide PDF + Print”. His ideas, which were pioneering even back then, attracted worldwide attention, meaning that in 2001 Bernd Zipper was one of the few people to have conducted a highly acclaimed interview with Adobe founder, John Warnock. Building on the success of the PDF guides, he published his book “pdf + print 2.0” in 2001, which was then published in various languages (English, Hungarian, Chinese, Danish) the following year. PDF is now the globally acknowledged print standard; the New Economy and the Internet gave fresh impetus to the print industry and Bernd Zipper continued to focus on the advance of automation. Back at the end of the 1990s Bernd Zipper defined the term and the concept of “web-to-print”, which was adopted in 2006 by the bvdm (Bundesverband Druck und Medien e.V). Together with the bvdm he initiated the first ever web-to-print forum as a platform event for the industry and this was regularly repeated in subsequent years. In cooperation with the bvdm and Fogra, Zipper later set up the Online Print Symposium – the online print industry’s leading international event, a platform where online print industry, agency, marketing and media management decision makers can network and compare notes. Bernd Zipper first published the “Web-to-Print Studie” in 2007. The fully revised edition of “Strategie: Web-to-Print” was published in 2009 by Midas Verlag. Bernd Zipper is an initiator, co-founder and member of the executive board of Initiative Online Print e.V., formerly “Interessengemeinschaft zur Förderung des freien Wettbewerbs Web-to-Print e.V.”, established in 2007. As a visiting lecturer in Print and Media Technology in the Electrical Engineering, IT and Media Technology Faculty at ‘Bergische Universität Wuppertal’, Bernd Zipper lectured on the subjects of web-to-print and remote publishing as part of the Innovation Management series of seminars from 2008 to 2014. Bernd Zipper has been giving his own series of “eBusiness Print” seminars since 2011, in which he imparts basic knowledge about the Internet economy and eBusiness processes in the print and media industry from technology, organizational and market perspectives.